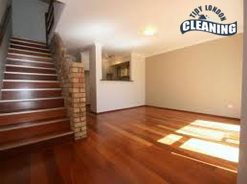 End of tenancy cleaning is a cleaning service that provides with cleanness the places of tenants, whose tenancy contract is ending and are vacating their current accommodation. At the end of a tenancy period, it’s necessary for tenants to clean the entire place thoroughly in order to remain in good relations with the landlords and receive back the deposits they have given. We offer professional end of lease cleaning service that can easily cope with the whole place and make it cleaner than ever, as every detail will be taken care of by our experts. 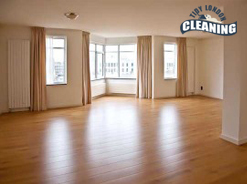 End of tenancy cleaning services can be carried out in both residential and business properties. We believe that professional cleaning services should not be thought of as a luxury but rather as a service that everyone can benefit from. We understand the importance of cleanliness and hygiene, therefore we make sure that our prices don’t affect the budget and can be afforded easily. Our end of tenancy cleaning services are carried out at a competitive price that doesn’t interfere with our clients’ budgets. At the same time, our service improves all the time and gives full guarantee for high quality and professional completion of every cleaning task. Our company was established a few years ago with the mission to create an environment of absolute customer satisfaction. We have been working hard for a long time and thus we have learned exactly how to keep our customers pleased by providing them with the best services in London. We do our best to give everyone the chance to have their places cleaned professionally and we love to see our customers happy. This is what we care about the most. To make sure that we offer ideal cleaning services, we have trained a team of experienced and devoted cleaners. They have all of the needed knowledge and skills to carry out their tasks very fast and super efficiently. Also, they are supplied with high-class equipment, which helps them achieve even better results, even more quickly. You can find us every single day, including on bank holidays and weekends. We are aware of the fact that people are super busy, therefore we try and give them the chance to be able to order our services any time. For further information or to make an appointment, call us and we’ll come at a time that is perfectly convenient for you.